You are here: Home » Sunday Rewind: Don’t ask what’s in the soup! I don’t remember much from my first experience eating at a Chinese restaurant except for two things. The first was the paper wrapped chicken appetizer. I could have eaten a meal of them. The second was the soup. It was egg drop and I remembered it as unappealing and very, very bland. For a number of years after that I would skip any soup at a Chinese restaurant and try to double up on the appetizers. In high school, I lived in Southern California and finally had access to decent Chinese food. I went to a local restaurant with a girlfriend and her family and we ordered the standard dinner. Appetizers were good. Salad was nondescript, but not bad. Then the soup arrived. It wasn’t egg drop. It was darker and had all of these weird things in it. I tried to pass, but was strongly encouraged to try it. 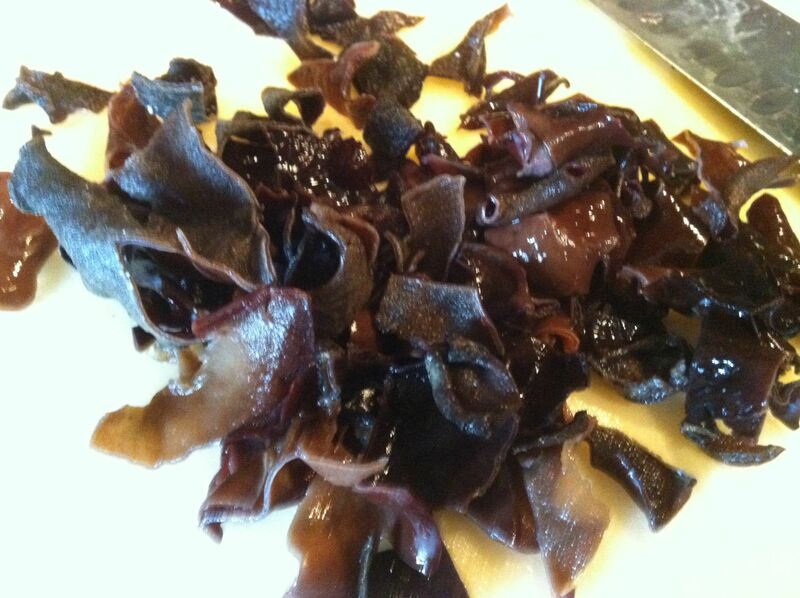 I took another look and the black things in it looked like eel. I didn’t eat much seafood at the time and definitely did not eat eel. Plus there was this wispy white stuff in it. Not wanting to look like I was afraid to try it (as the girlfriend’s family had dug right into the soup), I cautiously scooped up a bit of it and took a sip. It has a little kick and loads of flavor. Another scoop, this time getting some of the unidentified solids. Great taste. I ate the whole thing down. I tried not to think of what exotic thing could be in it. 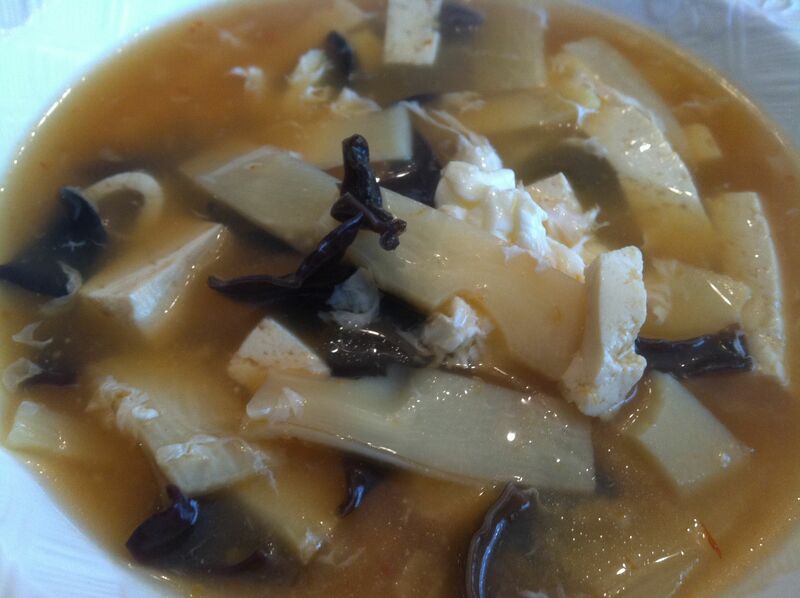 For many years after, I would always order the hot and sour soup and purposefully kept my ignorance about what was in it. After I was married, I decided to make it on my own. Expecting I’d have to visit my local Asian food store and look for obscure ingredients, I was shocked to see it was made of all typical ingredients. And the eel? Wood ear mushrooms. I’ll sometimes add some crunchy noodles in at the end. 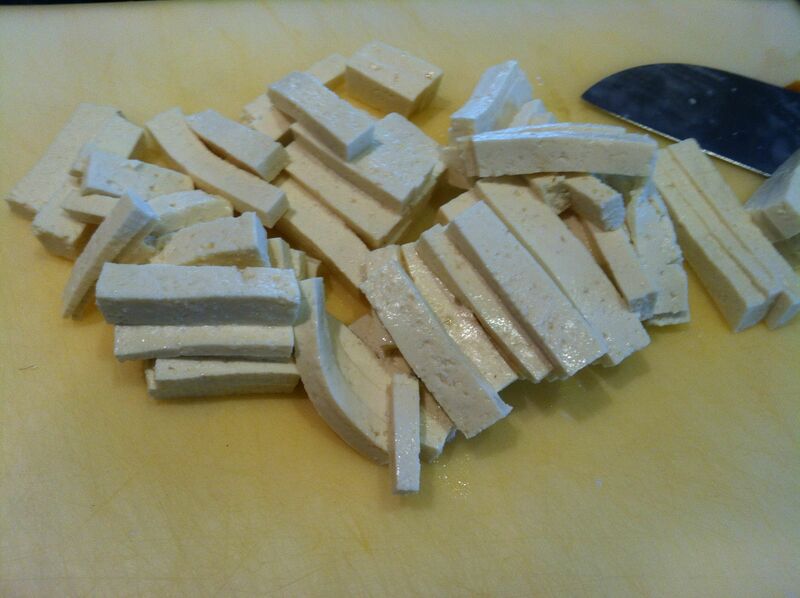 I always buy the extra firm tofu and cut it into strips about one inch long. You have to re-hydrate the mushrooms in hot water. After that, I always dice them, else you will get a very long piece of eel…I mean mushroom. The white wispy stuff? Egg whites swirled in the pot. Go ahead. Ask what is in it. 1. 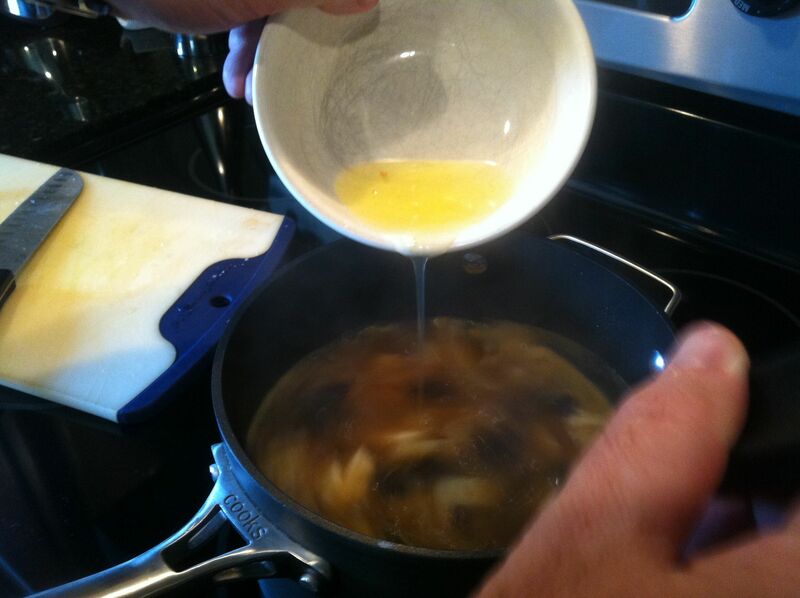 Combine dried mushrooms with enough hot water to cover by 2 inches in a small bowl; let stand 15 minutes, then drain. 2. 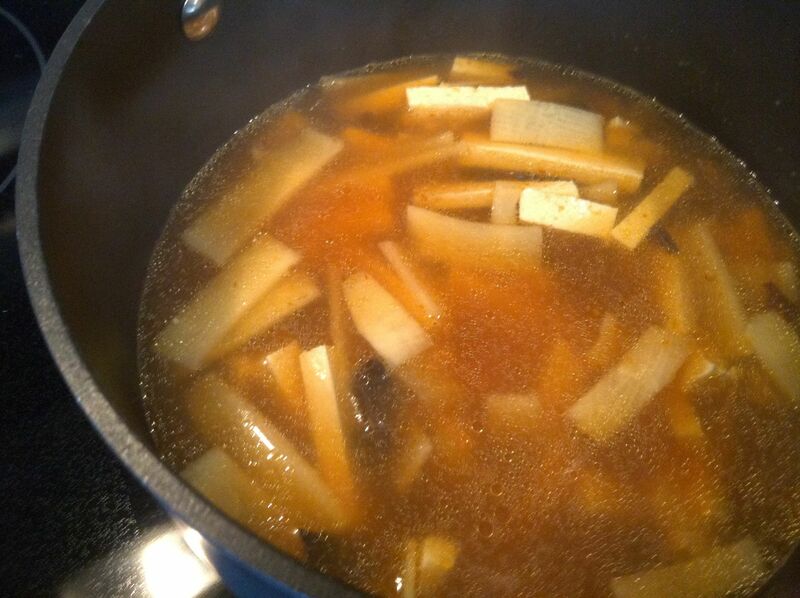 Bring the broth, soy sauce, chili-garlic sauce, vinegar, and sesame oil to a boil in a large saucepan. 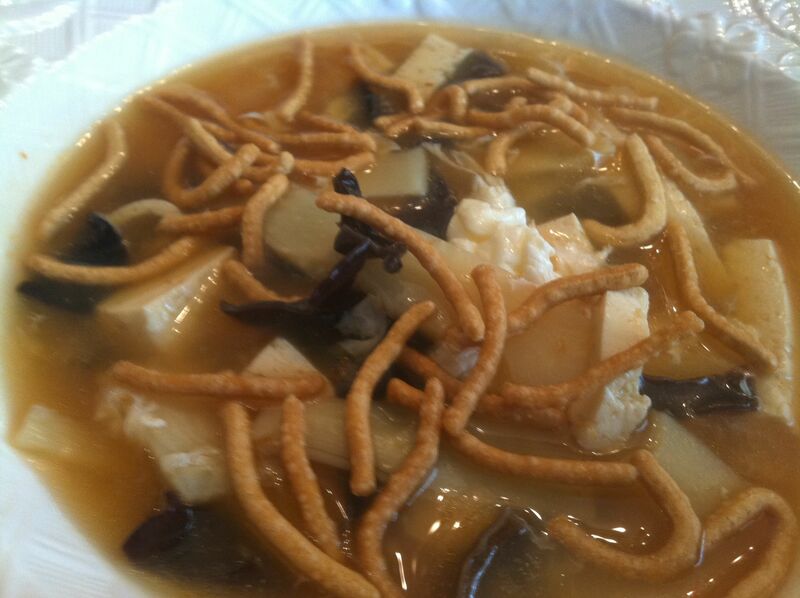 Add the drained mushrooms, tofu and bamboo shoots. Reduce heat and simmer 10 minutes. Combine the cornstarch and water in a small bowl; stir in about ¼-cup of the hot liquid, then return to the pan. Cook, stirring constantly, until the mixture boils and thickens slightly, about 1 minute. Remove from the heat; slowly drizzle the egg mixture into the soup while stirring in a circular motion. Serve immediately. 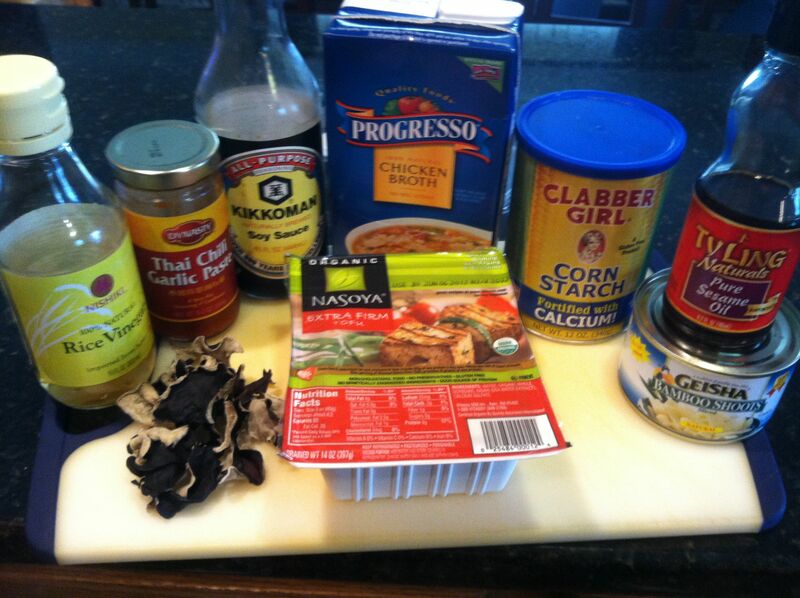 This is my favorite, I could make a meal of this soup and when not feeling well, I add some steamed rice and it is even better than chicken noodle soup.